With these approvals, the stage was set to move these drugs into combination treatments that may increase their efficacy. Not surprisingly, combinations with chemotherapy have now been explored, among other possibilities. The combination of pembrolizumab with chemotherapy (carboplatin and pemetrexed) received accelerated FDA approval in May 2017 as first-line treatment for non-squamous NSCLC. In a clinical trial, 56% of patients receiving pembrolizumab combined with pemetrexed and carboplatin (PC) went for 12 months without their cancer progressing (progression-free survival, or PFS), compared with 34% of patients receiving only PC. However, the FDA approval has not translated into widespread use of this combination. Oncologists were simply not convinced that the improvements in overall response rate and PFS for patients who received pembrolizumab plus PC in the pivotal trial justified a notable increase in side effects compared to PC alone. This attitude is now changing with new data indicating increased overall survival (OS) with the combination of pembrolizumab and chemotherapy. Those recently published results, from the Keynote-189 trial, show that 69% of patients randomly assigned to receive the combination survived at least 12 months, compared with 49% of patients who received chemotherapy and placebo. OS was also significantly longer in the combination group. These results serve as the basis for the manufacturer’s application for a full FDA-approval of Keytruda combined with carboplatin and pemetrexed as first-line treatment for nonsquamous NSCLC, irrespective of PD-L1 expression level. Patients whose tumors have mutations in the EGFR and ALK genes were excluded from the trial. Also recently announced were positive results from the phase III KEYNOTE-407 trial for metastatic squamous NSCLC. Patients receiving a combination of pembrolizumab with carboplatin and paclitaxel (or nab-paclitaxel) had higher survival rates compared to the control group receiving only chemotherapy. Median OS was 11.3 months in the chemotherapy-alone group, meaning that half of the patients in that group were still alive 11.3 months into the trial. Meanwhile, median OS was not reached in the pembrolizumab cohort, meaning that more than half of patients in that group were still alive when the results were published. The observed OS benefit did not depend on PD-L1 expression. 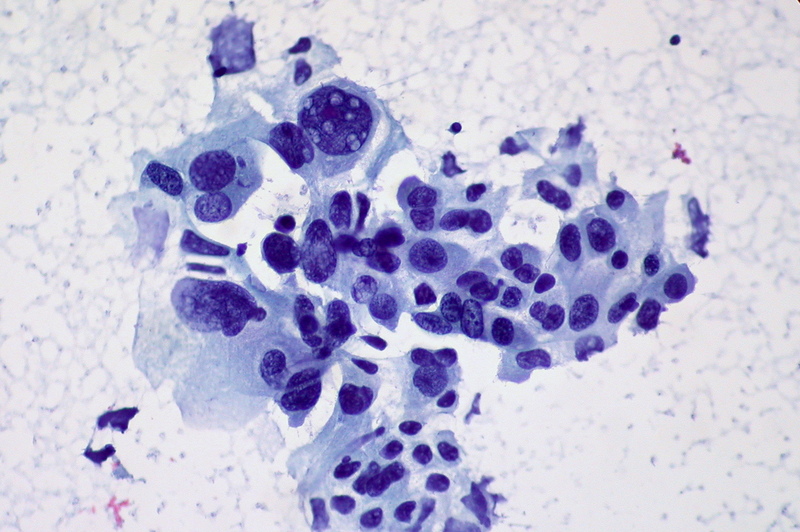 It is now thought that the FDA is likely to approve this combination in squamous lung cancers. For reasons that are not clear, the manufacturer of nivolumab has not reported much progress from studies of the drug in combination with chemotherapy. Instead, the company is developing the combination of nivolumab with ipilimumab (Yervoy), an anti-CTLA-4 checkpoint drug, for multiple indications, including NSCLC. Partial results from the CheckMate 227 trial comparing nivolumab with nivolumab plus ipilimumab and nivolumab plus platinum-doublet chemotherapy as first-line treatment for NSCLC are now published. Patients were preselected to have tumors with a high mutation burden, or a high number of mutations in the tumor cells. The objective response rate was 45.3% in patients who received nivolumab plus ipilimumab versus 26.9% in those who received chemotherapy. The 1-year progression-free survival rate was 42.6% with nivolumab plus ipilimumab versus 13.2% in patients who received chemotherapy. The trial enrolled patients with newly diagnosed NSCLC without EGFR or ALK mutations. Patients with these mutations were enrolled in the trial after their treatment with a relevant targeted inhibitor drug failed. An interim analysis showed that arm B (Tecentriq and bevacizumab plus carboplatin and paclitaxel) helped people live significantly longer compared with Avastin plus carboplatin and paclitaxel. The median OS was 19.2 months versus 14.7 months in patients whose cancer had no EGFR or ALK mutations. For patients with these mutations, median OS in arm C (chemotherapy plus bevacizumab) was 17.5 months. In arm B (chemotherapy plus atezolizumab and bevacizumab), median OS was not reached. Data form arm A have not yet been released. Whether bevacizumab contributes to the improved OS seen in arm B remains to be seen. These results were hailed as the most significant among new data presented at the annual meeting of the American Association of Cancer Research (AACR) in April. Perhaps the upcoming American Society of Clinical Oncology (ASCO) annual meeting in June will bring more exciting data about immune-checkpoint drugs in NSCLC.